I started Eclectic Arts in 2011. I knew from the get-go I wanted to cast a wide net when it came to what we covered at EA. Music was the obvious starter but soon a bit of television and film widened our coverage. The craft beer scene opened new horizons as well. This year we broke the doors down with a ton of musical theatre coverage as well as local theatre coverage. While there were many other artistic areas to pursue, the next on the list that always intrigued me was dance. 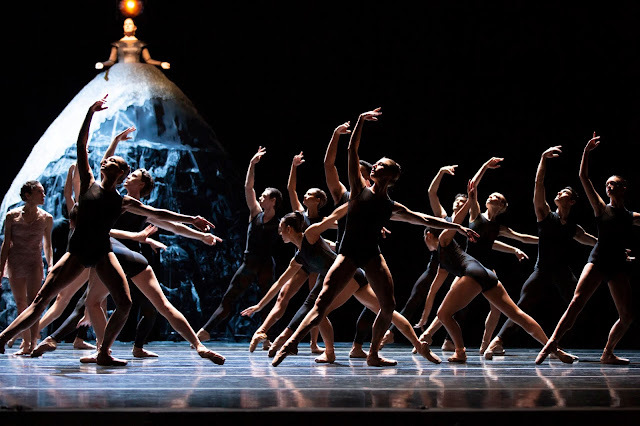 It was a no brainer to begin with the Pacific Northwest Ballet Company and when a preview of "All Premiere" showed up online, I felt that what I saw in that 30-second clip would be a good start for Eclectic Arts. So, for those reading this review, please understand I am by no means a student of dance nor do I understand the nuances of the performances (yet). I am writing this review from the vantage point of someone new to the art but not new to the arts - if that makes any sense. "All Premiere" showcased three very different pieces on Saturday afternoon. The world premiere of "A Dark and Lonely Space" with choreography by Kyle Davis. 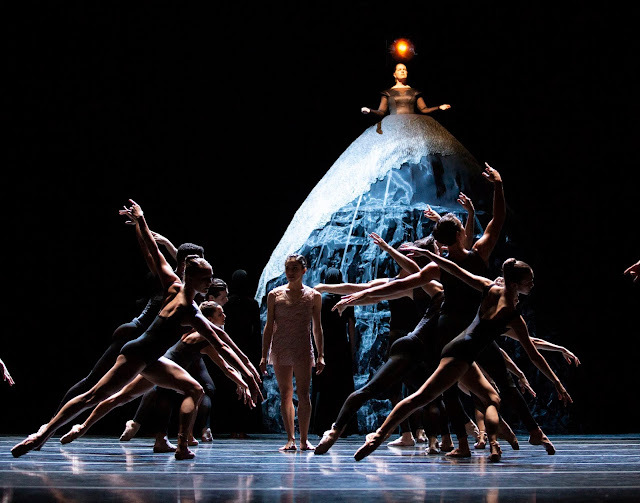 The PNB premiere of "Silent Ghost" with choreography by Alejandro Cerrudo and the PNB premiere of "Cacti" with choreography by Alexander Ekman. "A Dark and Lonely Space" began with an amazing score by Michael Giacchino. Cinematic in scope and emotion, the music set up the dance beautifully. Soprano Christina Siemens voice echoed throughout McCaw Hall as the story unfolded through the clean yet powerful choreography by Kyle Davis. I found "A Dark and Lonely Space" to be the most emotional of the three pieces. Tugging at the descriptive narrative of humanity and the behaviors humans' display, the movement was intriguing as the story unfolded. For my first credentialed experience, "A Dark and Lonely Space" was a great way to start. After a brief intermission, "Silent Ghost" began. With spoken word and music defining the backdrop for the piece, "Silent Ghost" was visually stunning. The choreography at times made me look twice at the performers, as their movements were so fluid it was almost like an illusion. I was particularly captivated during the middle sequence where it seemed the dancers were moving through water. The tone of "Silent Ghost" was a good contrast to "A Dark and Lonely Space". Another fine performance piece. After a second brief intermission, "Cacti" started up. Dance theatre would be a simple way to describe the piece (but not doing it justice). The tiles that the dancers performed on, the humor, the consistent change of choreography left the audience stunned. It reminded me in places of performance art ala Blue Man Group but only a little. "Cacti" stood on it's own and was such a joy to watch. I am always in awe of any artists when they are operating at a high level and I found inspiration while watching "Cacti". Very different than the other two pieces that made up "All Premiere", "Cacti" was probably the easiest to understand for the novice PNB audience member (like me). Kudos to the light direction as well on this piece - top notch. Overall the performances of all three premieres were as artistic as I had hoped for. I am looking forward to learning more about dance, the choreography, the stories being told, and hope I get another opportunity to cover a future Pacific Northwest Ballet event. If they're anything like "All Premiere" I know I'll leave a satisfied patron just like I did today. "All Premiere" continues through November 11, 2018. Good seats are still available!